Your 3D model will be designed in 48 hours by a professional designer. 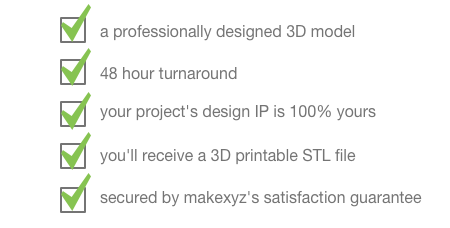 You'll receive an STL file that you can use to get your part 3D printed. All design IP that comes out of your project is 100% yours.